Discussion in 'Project Progress' started by 1971CamaroGuy, May 15, 2012. I wanted to go ahead and document my 1971 Camaro resto and show you guys what I am working on. I originally started out with a 1976 Camaro that I traded for a 1988 Trans Am in 2009. Hence my original name 1976camaroguy. I drove the 76 home and started tearing into it, At the time I realized that the car needed quarter repair, drop offs, and inner fenders. I actually started trying to put quarter skins on (using a HF flux welder) and botched it up and got disgusted with it. I got another 76 body and started on that….but had issues at the time with the title…it was in a dead guys name that was signed by the current owner. I needed a bill of sale to go with the title….hard to get from a dead guy. The dmv clerk fiddle with it a bit and ran the title as a “no sale” transaction. 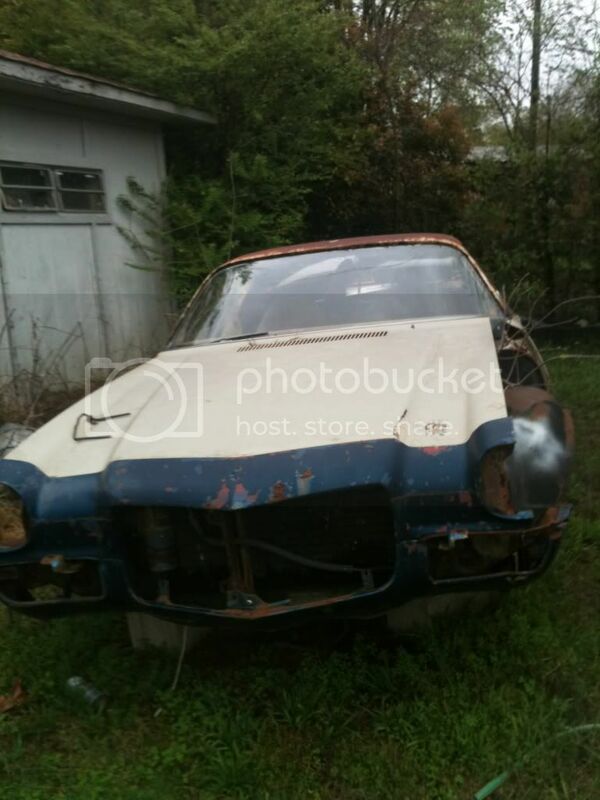 Still unsure if this was going to work and somewhat disgusted I threw another ad on craigslist looking for a 1970-1973 Camaro body with a clear title instead….not thinking it was going to amount to anything. Sure enough I get up the next morning and someone had emailed me with a offer for a 1971 body with a clear title about three hours away. I grabbed a trailer and headed over there and picked up the car…these cars are getting harder to find and I got a clear title too. real nice guy and awesome to deal with. I plan on swapping most of the 76 stuff over including one fender, my current drivetrain and some of the interior. That tail looks great.Better than stock I think. I've been following your progress in all the tech sections! You're doing some great work. I'm very impressed with the quarter-tailpanel edges. Something about this pic just makes me giggle. "Hey dude, you have a tree there, where you fender goes..."
Lol...there WAS a tree growning where the engine was...the car sat for 10 years, the owner was fixing up another one that was currently in primer...he used a lot of parts off this one. His thinking was that he was getting sad to see this body rot away from sitting so long so this timing was perfect between the both of us....he worked at 3M and gave me several boxes and rolls of 3M wet dry and DA paper as well as grinding discs too....I filled up a small tote with what he gave me. Surprisingly the floor looks great in the car except for the area under the rear seat....the toeboards are nice and solid too.